One secret to marketing success is knowing how customers behave if you stop marketing to them. When you stop marketing to customers, you are left with brand recognition and merchandising love. By the way, both of those things are really, really important. So we execute a four-panel mail/holdout test. One set of customers is treated "as usual" ... that's the catalogs+email column. One set of customers is not mailed email campaigns ... for three months. One set of customers is not mailed any catalogs ... for three months. One set of customers is not mailed anything ... no catalogs, no email campaigns ... for three months. You learn an awful lot by doing this. 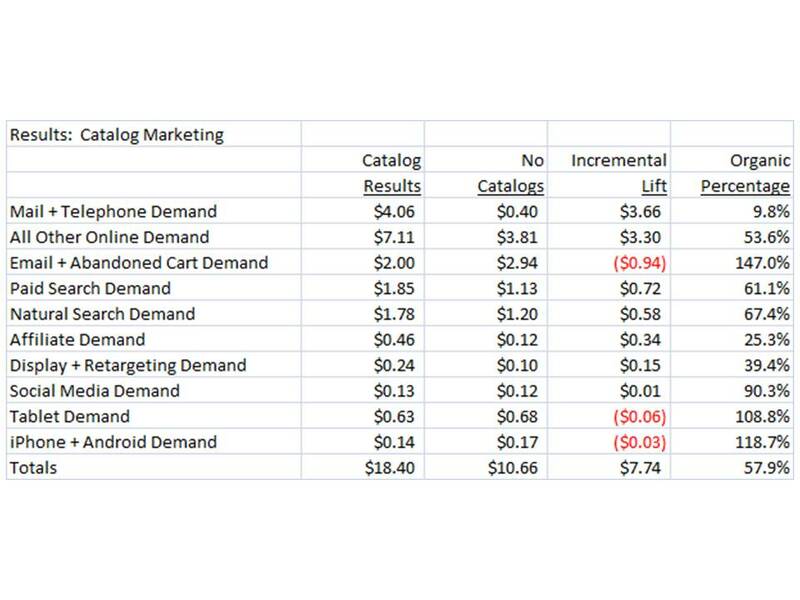 We know that catalog marketing, when measured via the traditional mail/telephone channels, doesn't look very profitable. This is the outcome, over the course of a quarter ... it looks like we are losing $0.72 per customer ... and if you have 200,000 customers, well, that's more than $140,000 per quarter, more than $560,000 per year. Well, that's doesn't work. So we created the "matchback". Any online order that happened within "x" days of sending a catalog is credited back to the catalog. This "changes everything", as they like to say on Twitter! Look at the table at the start of this post. 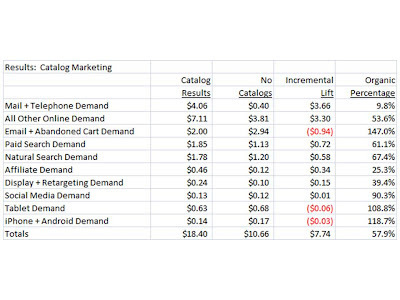 If we sum up all demand across all channels, we get $19.70, not a paltry $4.00. Now look at the profit and loss statement. Wow, catalog marketing works! And that's where we quit. This all happened back in 2000/2001/2002, our industry realize that we were "multi-channel" and we just stopped in time. We didn't innovate. We just assumed that all of these online orders were caused by the catalog. 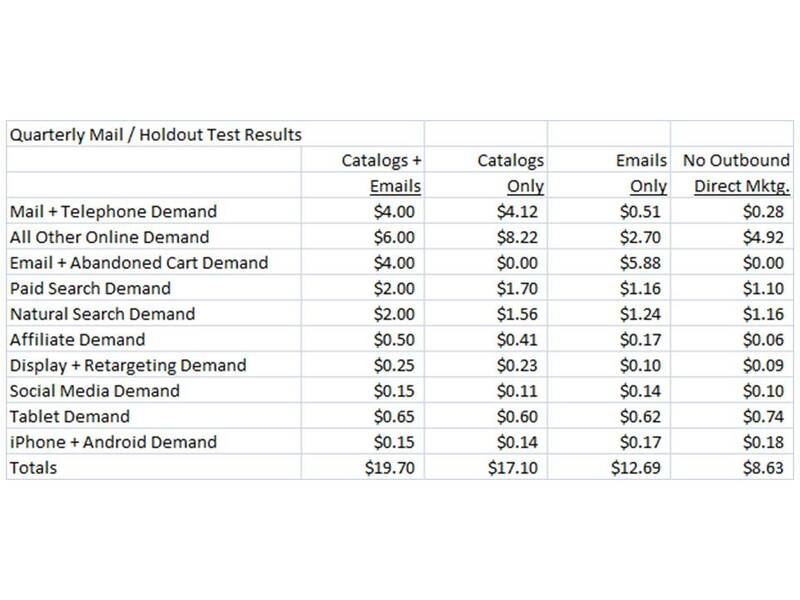 Look at the results across catalog mail and catalog holdout groups. Well, the test tells us something different. 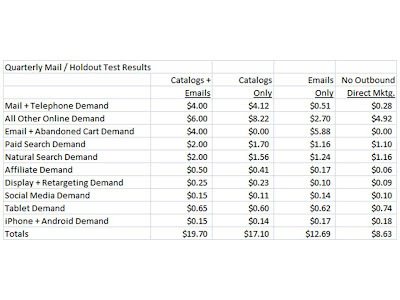 Look at the incremental lift ... the difference between mailed results and holdout results. We only generated $7.74 of incremental demand per customer. 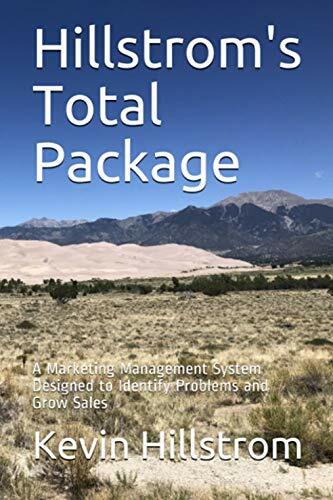 In other words, if we don't mail any catalogs, the customer continues to generate 57.9% of the demand the customer was going to generate anyway. I know, you don't want to believe this, you want to believe that customers crave catalogs. Well, these days, customers are influenced by customers --- demand will still happen, regardless. What does the profit and loss statement look like? Ok, there's nothing wrong with this. But the outcome is not what matchbacks suggest. Instead, the results are 58% of what matchbacks suggest. In this case, your job is to discount your matchback results, multiplying whatever your vendor tells you by 0.58. Then, you run your profit and loss statement on what remains. Later this week, we'll dig into the specific channel-based results, showing what happens to other channels when you stop mailing catalogs.